Vienna (AFP) - Austria announced Friday it would erect a metal fence along its border with Slovenia, in a new blow to the's cherished open-border accord. The 3.7-kilometre (2.3-mile) barrier, due to be completed in less than six weeks, will be the first fence between two members of the passport-free zone, as Europe grapples with a record influx of migrants. Barbed wire would be stored in nearby containers ready to be rolled out along the frontier if the situation escalated, officials said. Austrian Interior Minister Johanna Mikl-Leitner insisted the "fence conforms to the Schengen accord", adding it was part of temporary measures aimed at "channelling" the human flow. The move came a day after European Union President Donald Tusk warned that Schengen -- one of the bloc's most important achievements -- was on the brink of collapse because of fallout from the migration crisis. Austria's decision is the latest in a series of tough measures taken by countries to tackle the continent's worst refugee crisis since World War II. Germany, which expects up to one million arrivals this year, said on Friday it would extend temporary border controls implemented in September until mid-February. Earlier this week, Sweden also reinstated temporary checks, while Slovenia rolled out razor wire along its frontier with non-Schengen member Croatia. Denmark on Friday also unveiled tough new measures to deter refugees including a three-year wait for some family reunion claims and a plan to house people in tents. Fellow bloc member Hungary already sealed its southern border with razor wire last month, diverting the influx toward Slovenia. The government in Budapest, whose hardline stance on migrants has earned it heavy criticism, on Friday accused the EU of "hypocrisy" after fellow bloc members began building fences too. More than 800,000 migrants have landed on Europe's southern shores so far this year, the UN said on Friday, with many fleeing conflict in Syria, Iraq and Afghanistan. Austria's mesh fence either side of the Spielfeld border crossing point in the southern state of Styria will be 2.2 metres high, officials revealed on Friday. The government had initially planned to install a 25-kilometre fence but "our Slovenian colleagues have asked us to not do this immediately," said Mikl-Leitner. However Austrian authorities were ready to unfurl the entire 25-kilometre fence within 48 hours if Slovenia's reinforced border measures and police patrols failed to control the influx, she stressed. 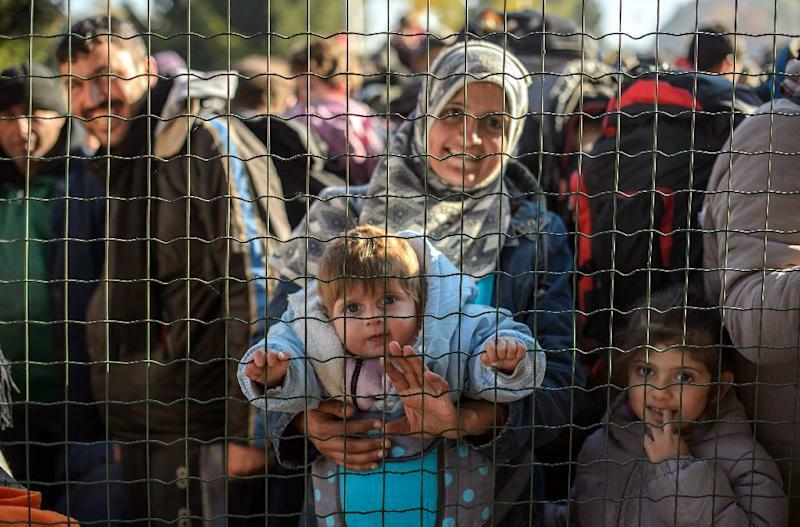 Both countries, which share a 330-kilometre border, have become key transit spots on the Balkan migrant trail. 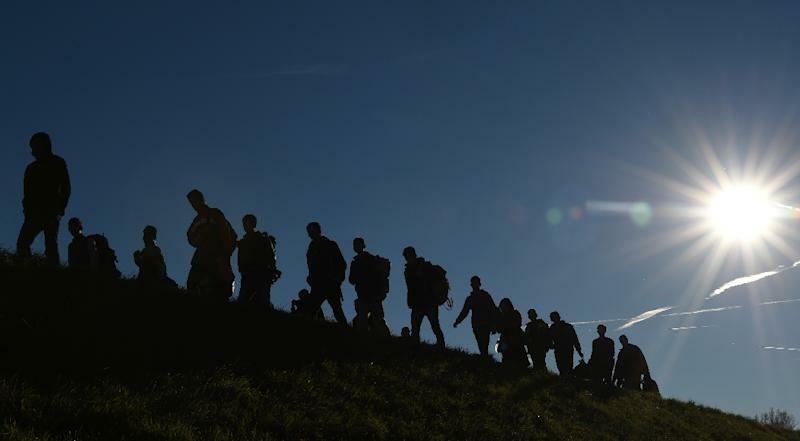 Most travel on toward Germany but Austria still expects a record 95,000 asylum claims this year, making it one of the highest recipients on a per capita basis. The fractious coalition government has also come under pressure because of growing support for the far-right Freedom Party, which is leading opinion polls. 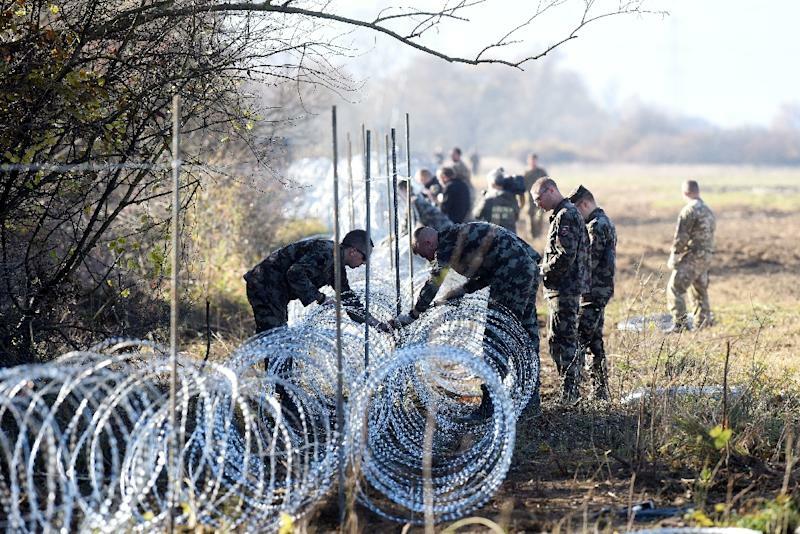 Top EU officials have repeatedly expressed unease over individual countries fencing off their borders. "Saving Schengen is a race against time and we are determined to win that race," Tusk said at the end of an EU-Africa summit in Malta on Thursday. At the talks, EU leaders struck an aid-for-cooperation deal with African counterparts to help accelerate the repatriation of failed asylum seekers from Europe. The EU Commission also announced that a summit with Turkey would be held before the end of the year, aimed at obtaining Ankara's help to secure the bloc's external borders. Turkey -- which currently hosts 2.2 million refugees from Syria -- is now the main transit point, from where the migrants set off on a short but dangerous sea journey to Greece and begin their arduous trek toward northern Europe. Athens on Friday accused Ankara of turning a blind eye to refugee smuggling, saying the illegal entries from Turkey were happening in "broad daylight" and "in an organised fashion". Greek Prime Minister Alexis Tsipras will travel to Turkey next week to press its leaders to take a stronger stance against traffickers. The UN refugee agency UNHCR warned on Friday that the Greek island of Lesbos had become "the epicentre of the crisis", with thousands, including young children and new-born babies, forced to sleep outside. Migrants' vulnerability was also highlighted in a damning report released by anti-poverty group Oxfam on Friday. People opting to enter the bloc from Turkey via Bulgaria were suffering "extortion and physical violence" at the hands of Bulgarian authorities, the group said. The EU's poorest country has also taken a hardline stance against migrants by installing a razor-wire fence and deploying over 1,000 police at its border with Turkey. Sofia said it would look into Oxfam's allegations.